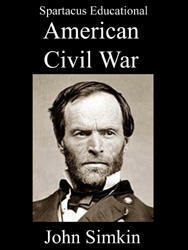 In December, 1862, General William Rosecrans moved his Army of the Cumberland towards Chattanooga. General Braxton Bragg, commander of the Army of Tennessee, who had just retreated from Perryville, was also in the area. 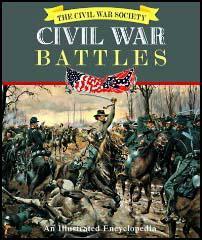 When Bragg's scouts told him of the Army of the Cumberland movements, Bragg decided to confront them at Murfreesboro, on the Stones River. Braxton Bragg attacked William Rosecrans on 31st December. Taken by surprise Rosecrans was in danger of being routed but he was eventually able to repulse the attack. Rosecrans was able to hold his position for the next two days and on the night of the 3rd January, 1863, Bragg and his Army of Tennessee retreated to Tullahoma. 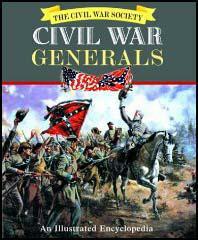 It is estimated that the Union Army lost 12,906 men whereas the Confederate Army lost 11,739. I deem it my duty to call the special attention of the general commanding the Fourteenth Army Corps to Col. John W. S. Alexander, Twenty-first Illinois Volunteers, and Col. Hans C. Heg, Fifteenth Wisconsin Volunteers. While every field officer under my command did his duty faithfully, Colonels Alexander and Heg, in my opinion, proved themselves the bravest of the brave. Had such men as these been in command of some of our brigades, we should have been spared the shame of witnessing the rout of our troops and the disgraceful panic, encouraged, at least, by the example and advice of officers high in command. Then came the gloomy morning of the 20th when the few of us that were left formed into line of battle. We had orders not to retreat in face of the fact that four strong columns of rebels were charging our weak and scattered line. These were nerve straining moments when boyhood chums were dropping dead or wounded all around me. Ole Milestone [Milesten] was killed on my right, Chris [Christian] Thompson on my left. I got a bullet through my hat and that did no harm, but I was taken prisoner, and that was something that did hurt. In recognition of distinguished gallantry displayed by him at the battle of Stone River Tenn. under the following circumstances: The right wing to which the 15" Wisconsin belonged was forced to retreat some distance. In this retreat the men became scattered and the rebel cavalry followed up their advantage and captured many prisoners. Pederson was commanded by rebel cavalryman with some rebel comrades near him to surrender but seeing some of our cavalry advancing from the woods and encouraged thereby refused and fired at the rebel and killed him. By his coolness on this occasion he not only saved himself but also saved several who were near him. He was afterwards captured and died at Andersonville after his regiment was mustered out of the service.